Book Week- this was a definite highlight in 2017. 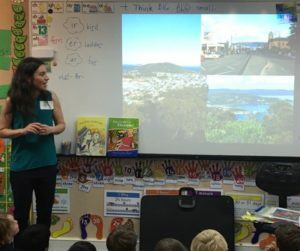 I really enjoyed working with Kenwick Public library, delivering presentations to primary school children in the City of Gosnells and was thrilled to be invited back to the city to run a Spring holiday workshop for older children. August turned into ‘book month’ with presentations and workshops in Albany at Yakamia Primary School, Alpha One (a school for troubled teenagers), Great Southern Grammar and at Christchurch Grammar School in Perth. We launched a book! 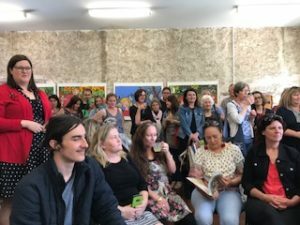 ‘Can I Come Too, Eliza-Lou?’ was released at an exciting Wild Eyed Press launch at Paper Bird Bookshop in Fremantle, in Rebecca’s home town at the Margaret River library. 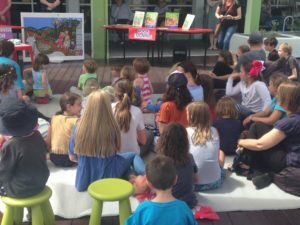 In Albany, WA, Rebecca Cool, myself and illustrator Meg Hewick (who was launching Ambrosia Honeybun Polkadot, written by Kate Capewell) ran a special story-time as part of the Albany Public Library holiday program. 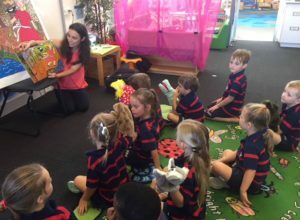 As well as book readings with puppets, we shared fun bush tucker treats, made some crafty creatures and painted happy faces with the assistance of a merry band of fabulous teenage helpers. Thank you Dora Adeline and Katrina Houderanni and other staff members at Albany Library for hosting this event. 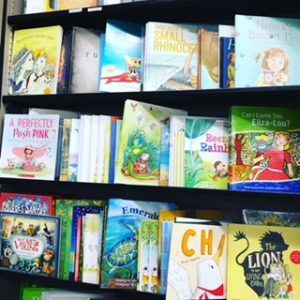 I loved meeting a gorgeous group of mothers and their toddlers in Manjimup, running a story-time and craft session for preschool aged children at the library with Can I Come Too Eliza-Lou? And to start 2018, I was delighted to speak at the Children’s Book Council of Australia’s Night With Our Stars. This was my first ANWOS and it was such a wonderful night. I’ve selected a few photos which haven’t been on Facebook or Instagram. Please feel free to view more of these by following my posts @sianturnerbooks if you are interested. Thank you for joining me on my writing journey and I wish you all the best for 2018!